Our hearts go out to the 12 innocent lives lost November 7, and all those impacted by the horrific Thousand Oaks shooting. 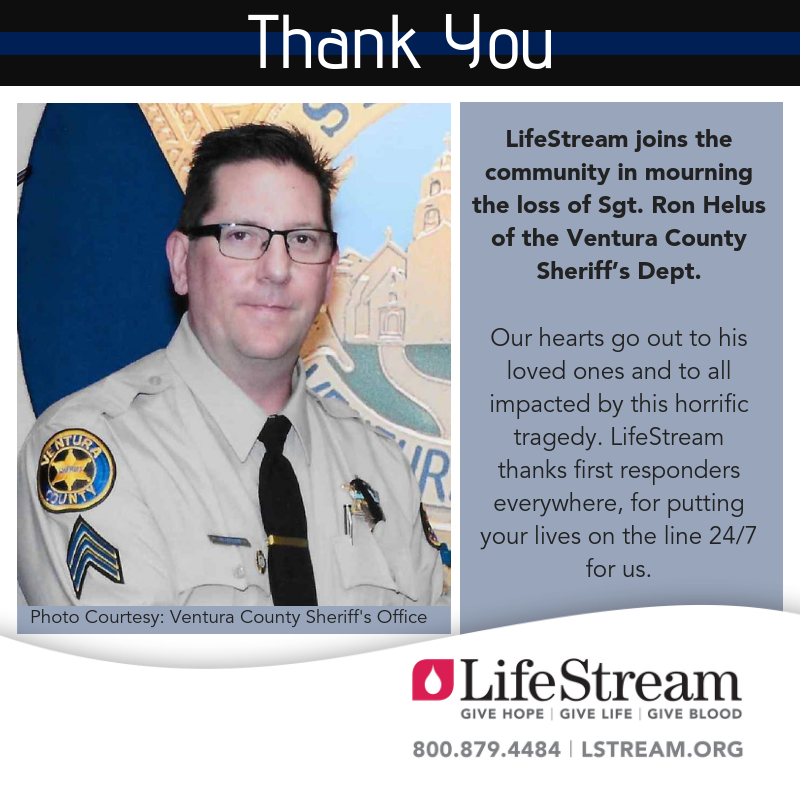 LifeStream supports this community with blood supplies. Two dozen more shooting victims are being treated at local hospitals. But it’s blood already on the shelves that saves lives. That’s why it’s critical that our community continuously replenishes supply. We can’t know when the next emergency need will arise. But we must always be prepared for it. You can help make it happen. Please – today – make an appointment to give blood.